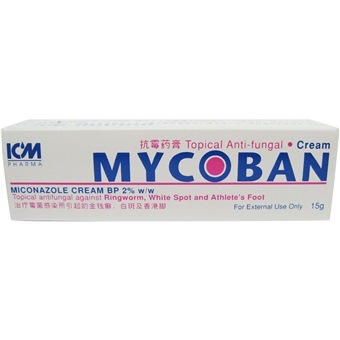 MYCOBAN is a topical anti-fungal cream that contains Miconazole Nitrate 2% against Ringworm, White Spot, and Athlete Foot. It effectively kills the fungus that causes the infection as well as some bacteria which may also be present. MYCOBAN Cream can be used to effectively treat fungal infections of the skin, nail, and scalp.